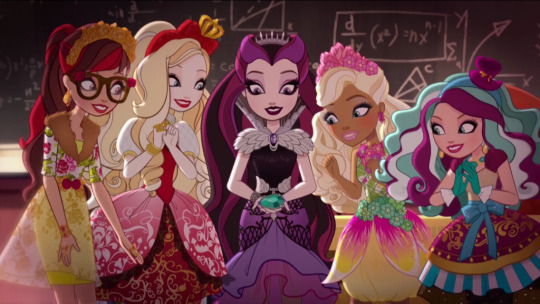 Rosabella Beauty,Apple White,Raven Queen,Nina Thumbell and Madeline Hatter. . Wallpaper and background images in the Even After High club tagged: photo ever after high chapter 4 thumn believable webepisode.